So this episode is a bit of a departure from the Indie Film Tribe norm, but as an artist, I think you'll find this episode very interesting! Sourabh Kothari is an Indian man who grew up in China and spent most of his life here in the US. He has been a storyteller for some of the world’s largest brands, and his team was nominated for 2 Emmy awards when he was working in Silicon Valley at one of the world’s largest tech companies. Now he is the co-founder of IntentWave, where he’s building artificial intelligence that can sense emotions. At his company Intent Wave they’re building artificial intelligence that can sense human emotions through wearables like your Apple Watch. This allows us to create digital empathy, because we can reflect back to each person their own personality. Their own natural emotional and behavioral patterns, their own decisions, and ultimately what’s causing their stress, their pain, and how to start making small behavioral changes to be happier and healthier. Actor, Writer_Producer Lita Lopez shares her journey to producing, writing and starring in her first film project, THE GOOD BALLOON. 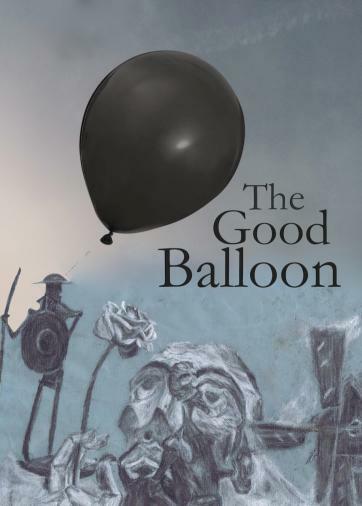 The Good Balloon brings out of the darkness two debilitating struggles that almost all of us will face at some point in our lives, but very few really know how to talk about - GRIEF & Mental Illness. When it hits your life, it can truly feel like you've been run down by a bus and all the light has gone out of the world. That's how our guest Lita Lopez was feeling on one dark day when this miracle story happened. As you may or may not know I did end up taking a break from the podcast, you can hear about it Season 3 Ep #1, so this week’s episode was actually recorded a few months ago. What ended up being such a surprise, when I pulled up the filmmakers website to prepare for this email, it was such a wonderful surprise to see that his film has picked up so much traction since the last time we spoke. It’s interesting because when I interviewed him, he and I were both pretty frustrated about our first feature film not being accepted into many/any film festivals. He was struggling, I was struggling, and it’s so wonderful and fascinating to see how we both are now in a completely different place. Life is nuts, but this is such a lesson in having faith, patience and believing in your project. Happy New Year Good People! So yea, that would be me. The worst podcast host ever! Let me let you, 2018 was amazing but gnarly in oh so many ways and I completely dropped the ball on Indie Film Tribe! Horrible I know and I am so sorry! Like many of you and many creative types in general, at any given day I can be obsessed with a myriad of different things. I love sharing what I’ve learned on my filmmaking journey with you all via my podcast, but I also love acting, directing, producing, writing and even more writing and one thing I’ve realized is that it’s very challenging to pursue all my loves at once! So I’ve decided to make this episode an update episode and tell you what I’ve been up to these passed six months, why I haven’t released any episodes and what I have planned for the indie Film Tribe in 2019. Believe me when I tell you I had every intention of releasing the last two episodes I recorded back in July of 2018, but life, yes life happened. Listen to hear all about the good, the bad and the ugly.